Extrabucks are a VERY good thing. Extrabucks can be used to buy anything in the store, and they print out on the bottom of your receipt. Again, watch the expiration date on the Extrabucks. Some stores will accept them even if expired – others will not. There are different ways of earning Extrabucks. The one you probably have heard about is this one every quarter (three months on the calendar- Jan to March, and then April to June) your total purchases, AFTER coupons, are multiplied by 2% and returned to you. This number is rounded down to a 25- example- if you bought $209 worth of stuff at CVS from October to December, you would get credit for $200 times 2% ($4), and when the quarterly Extrabucks print out (second or third Sunday in January), you would receive $4 Extrabucks on the bottom of your receipt. Another way of earning quarterly Extrabucks is you can get $1 Extrabuck for every two prescriptions you have filled at CVS. This is added in with the 2% of purchases and given to you a few weeks after the quarter ends. The best way to earn Extrabucks is through the weekly Extrabucks deals that will be described in the CVS weekly ad. Usually these deals involve some qualification like- "Buy $20 worth of a specific product or products, get $10 Extrabucks" and you can use coupons for the deal. Most of these deals are limited to one per card, but sometimes there will be unlimited deals- unlimited deals can be VERY profitable. Save your receipts just in case you don't get full credit for your purchases. This happens from time-to-time. Remember, Extrabucks can be used on anything in the store, including other Extrabucks deals. 2) Have more Extrabucks to use next week. This is called "ROLLING-OVER" your Extrabucks and it is the best way to take advantage of CVS Extrabucks deals. This is the tricky part of dealing with CVS. You have to start somewhere before you can get those big EXTRABUCKS. So, where do you start? You start by getting the card- nothing counts unless you have a CVS card. Then, find an Extrabucks deal for which you have coupons. For your first Extrabucks deal you'll have to pay almost full price for your Extrabucks. That's not a problem- you'll make it up doing roll-overs with the Extrabucks you earn. 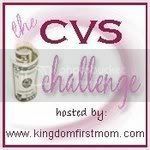 Don't be afraid to use the CVS information found on this site to help you with your first CVS deal. If you see something special at CVS, or if you figure out a deal, then go ahead and post it to the MomSavesDFW Yahoo Group or any other coupon forums you belong to. Don't be shy- even if it's for a specific product that you never see mentioned here-others probably use it, too. You'd be surprised.